Intermediate Championship Final – All roads lead to Pairc Sean MacDiarmada, Carrick on Sunday next for the Leitrim Intermediate Championship Final. Annaduff are the opposition and throw in is at 1pm. Make sure to get there early to cheer the team out onto the field and dont forget to bring your flags and banners to turn the place red and black. 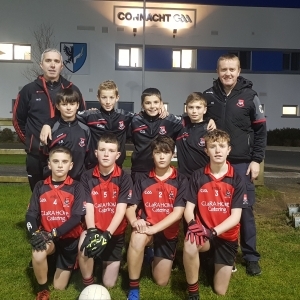 County Final preparations – as preparations continue its fantastic to see people going the extra step, and some to extremes, to ensure the houses and roads around the parish are sporting our red and black colours. An array of Fenagh merchandise, flags, bunting, car flags etc are still available for purchase in Corrib Oil at Edentenny. Team Sponsorship – if anyone is in a position to help out by way of sponsorship for the team in the lead up to Sunday’s final it would be most greatly appreciated. Please get in touch with Marie McGovern (087 6143072) if you can assist in any way. County Final Fundraiser Draw – a fundraising draw will take place over the County Final weekend with money raised going towards the teams preparations. Prizes of €400 have been kindly sponsored by Brian Wrynn Construction and Gilheaney & Co Chartered Accountants. Entries to the draw are €20 and can be purchased online via our Klubfunder or Facebook pages or by contacting any of the Club Executive. The Draw posters are located in Quinns Bar and The Abbey Bar and you can enter there also. There will also be an opportunity to get in the draw after Mass on Saturday evening and before Mass on Sunday morning in the Parochial House. Your support would be greatly appreciated. Senior Championship Final – there will be Fenagh involvement in Sunday’s senior decider also with Patrick Guckian appointed as match referee. Best of luck to Patrick and his team of officials and also to the Mohill and Aughawillan teams. 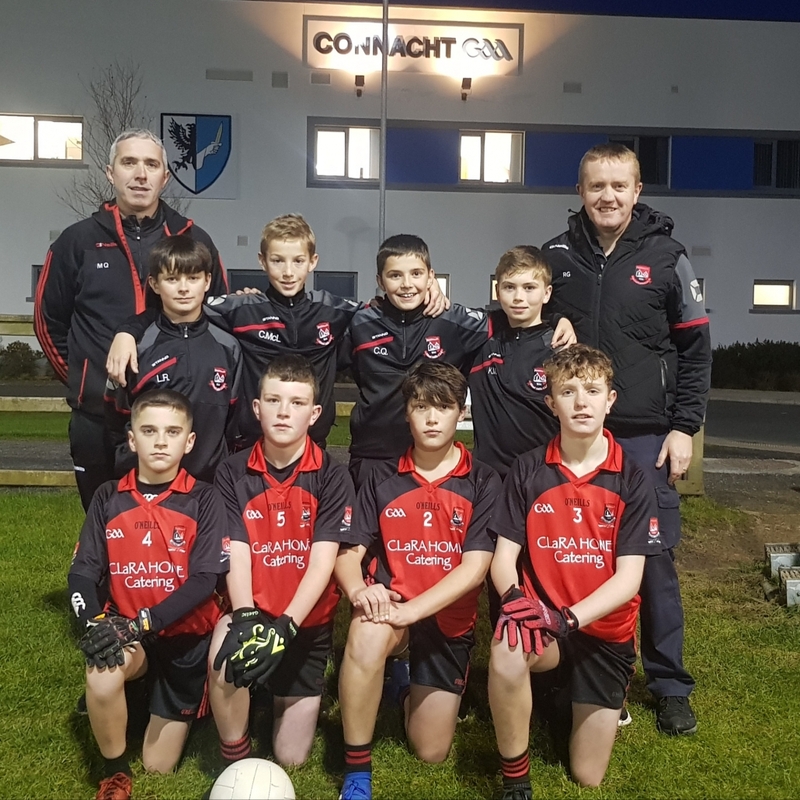 Connacht u12 skills final – two Fenagh St Caillins teams qualified for last Friday’s final which took place in the Connacht Centre of Excellence. The Fenagh black team were Adam Reynolds, Colm McLoughlin, Calem Quinn and Killian Mulvey and the Fenagh red team were Dara Greenan, James Gilheaney, Ruairi O’Rourke and Matthew Hargaden. Both teams performed excellently in the footpassing, scoring and soloing events with the red team winning the soloing competition.